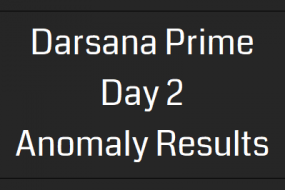 The Persepolis Anomaly series began with the Resistance winning the first round by 2,775 points thanks mostly to the massive show of force in Bratislava. Their connected links and fields alone were enough to beat the Enlightened this round. 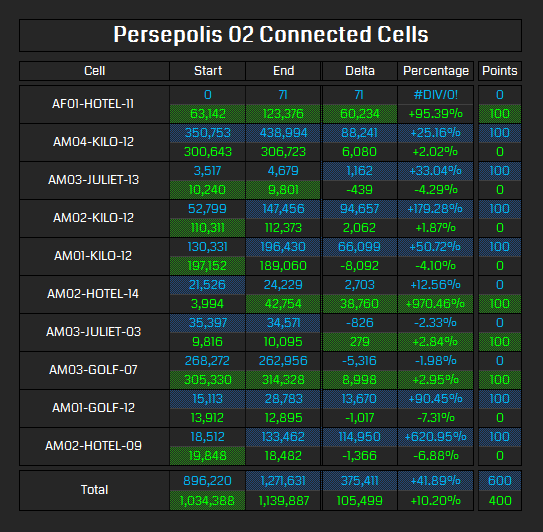 Both teams won half of the Connected Cells however the Enlightened managed to earn almost double the Total Delta compared to the Resistance. 68% of all points scored in this round were from the Primary city of Bratislava which the Resistance won with 73.6% of the points from the city. 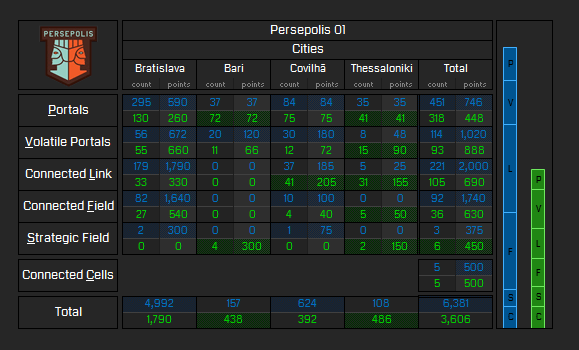 Even though the Enlightened won Bari and Thessaloniki with 73.6% and 81.8% of the points respectively, it wasn’t enough with those cities only worth 6% of the rounds scores’ each. 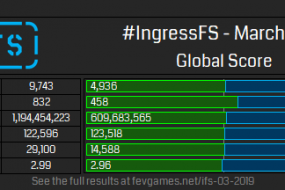 In the second anomaly, the Enlightened began to fight back winning the round by 622 but it’s not enough to put them back in the lead yet. 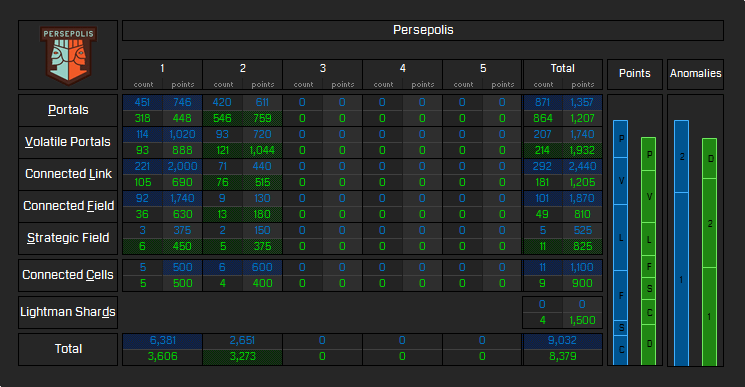 Standard and Volatile Portals played a much more significant role this round making up 55% of the Enlightened’s score. 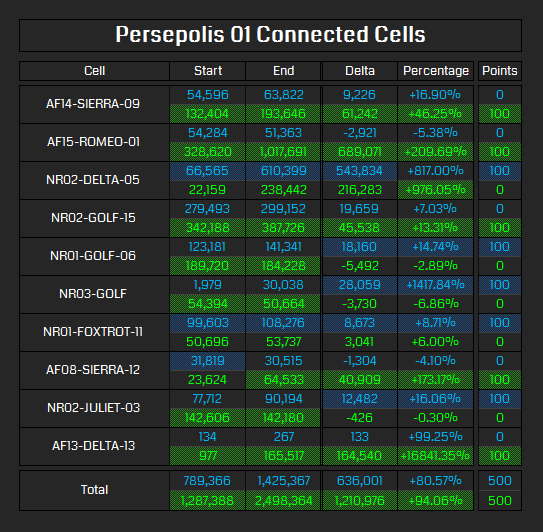 The Resistance won 6 of the 10 Connected cells for the round and earned more than triple the Total Delta compared to the Enlightened. The Enlightened’s won in Washington DC with 60% of the points and Phoenix with 75.6%. The Resistance’s wins were comparatively tiny in Buenos Aires and Toronto winning with a margin of 3.1% and 1.8% respectively. At the end of Round 2, the Enlightened had managed to score 4 shards which so far are worth 18% of their total points. After last weekend, it looks like the Resistance are stronger in Europe on the ground while the Enlightened are stronger in the Americas but opposite for the Connected Cells. 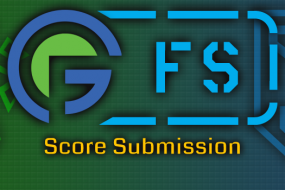 Next up, is the final three anomalies on June 20, see you then!